We've heard a lot of numbers about the number of Android device activations per day in the past, but it's always nice to see it displayed visually. 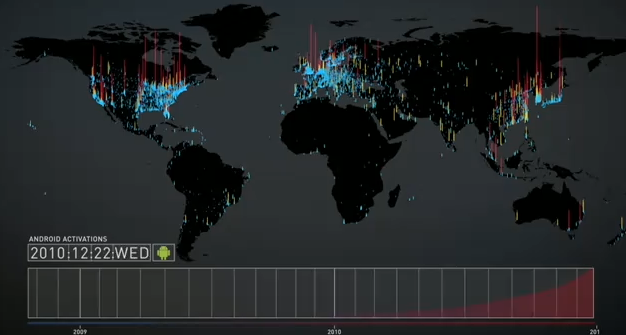 AndroidDevelopers has posted a very cool video that does just that, showing the number of Android activations throughout the world from the beginning - all the way back to the G1 - to January 2011. It's a nice reminder of just how far the platform has come. Take a look for yourself below.